A "pitch count" is used to protect pitchers from injury and other long term negative effects to their muscles, joints and ligaments. In Little League Baseball, there are strict rules about the number of pitches a player can throw during a game and during specific time periods. 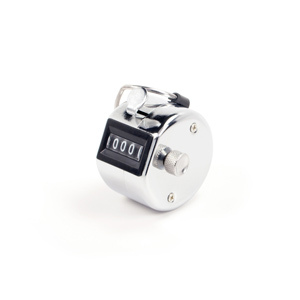 At every Little League game, a designated "pitch counter" must be chosen. That person is required to keep an accurate pitch count for any pitcher entering the game. The ultimate responsibility falls on the manager to make sure a pitcher does not exceed the maximum throws allowed for their age group (or risk forfeiting the game). The stakes are high! The good news is you have a number of different, fairly straightforward options for keeping an accurate pitch count. For us old school types who don’t want to fuss around with technology or just simply like the nostalgic smell of a Number 2 pencil, here's a printable pit log sheet that has been put together by Little League baseball themselves. The log has room for 10 pitchers per sheet, usually enough for one team per game. Download a PDF version here. Pro: Very easy to figure out. Can be done by anyone. Con: Must keep track of the pages after each game and remember to have new ones printed for each game. 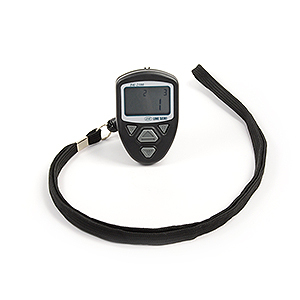 The most common and straightforward method is to use a "clicker" counter. These come in models that can either fit in your hand or sit on a flat surface. If you are looking to keep the count of pitchers for both teams at the same time, these hand held pitch counters come as a set of two for keeping two simultaneous counts. Pros: It's easy to quickly see the pitch count without adding up a number (like with the paper log). Cons: Every time a new pitcher is put in the counter must be cleared and the total recorded. preset alarms that sound when a pitcher hits his/her "pitch count". the ability to store pitch counts (so you can go back and look at counts from previous games). 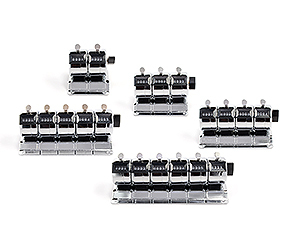 keeping multiple counts at one time (the DK-5005A can keep up to 5 counts at once). 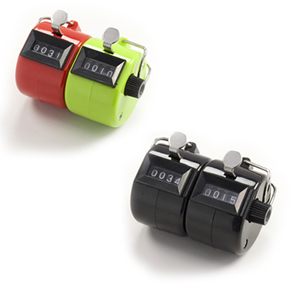 Digital tally counters are made to fit in your hand, around your neck, or on a table. Pros: Easy to use and minimal investment. Cons: Eventually will run out of batteries. If you are looking for an app for your iPhone, the best that we have come across is the HT Pitch Counter. This app will do far more than just keep a pitch count. It has a pitch velocity estimator, can keep ball/strike counts, tracks many advanced pitching statistics, and will keep pitch counts for for multiple pitchers throughout the whole season. Pros: Keeps advanced stats on each pitcher for every game for the duration of the season. Cons: Might be a little complicated for the needs of the average pitch counter. 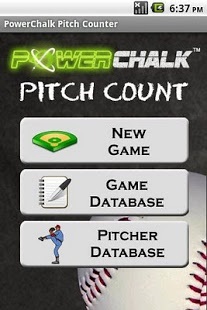 If you are looking for an app for Android, the best we have found is the PowerChalk Pitch Counter. 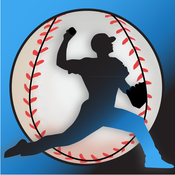 It has a very well organized pitcher and game database for advanced tracking of pitching statistics, and allows you to go back and look at previous games. It is also easy to track progress and pitch counts for the entire season. Pros: Great Pitcher and Game Database features for tracking advanced statistics as well as pitch count. Cons: Requires an Android based smartphone and knowledge of the app to operate.